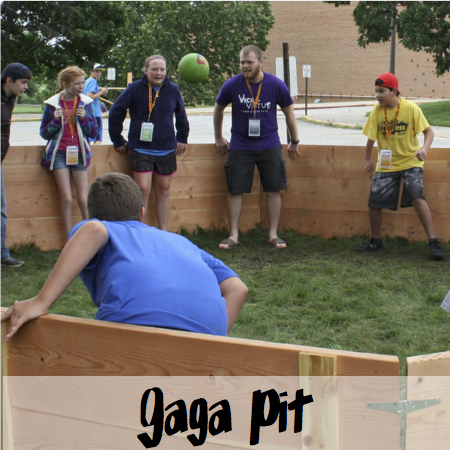 The best way to describe the gaga pit: imagine playing dodge ball in an enclosed area. If the ball hits you below the knee, you are out. Who will be the last one standing?